For most businesses a website is a tool to generate new leads and sales. It is critical that when potential customers come on to your website, they take a desired action such as filling in a contact form or exchanging information for a content offer. This action taken on a website is called a conversion. In general terms, a conversion is defined as the percentage of website visitors who complete an action on a website based on the goals of a business. The metric used to measure these conversions is the conversion rate. A business can determine goals based on user acquisition targets or sales. By measuring the conversion rates on your website, you will be able to determine what marketing activities are producing the best results and what pages on your website need improvement. Below we will look at examples for website conversions that businesses would use. One of the easiest ways to track the conversion rate of your website is to use Google Analytics. You can track conversion rates on Google Analytics by setting up goals. This will track the number of times a success page receives hits and it will calculate the conversion rate into a percentage. You can also measure your conversion rate by taking the number of conversions, dividing that by the number of visitors during a time period. As an example, if the website had 60 conversions from 1000 website hits, then the conversion rate would be 6% (60 / 1000 = 6%). Tracking conversions on eCommerce websites is critical for determining which marketing channel is producing the best results. This will allow you to better decide how to spend your marketing budgets to get the best results for your business. 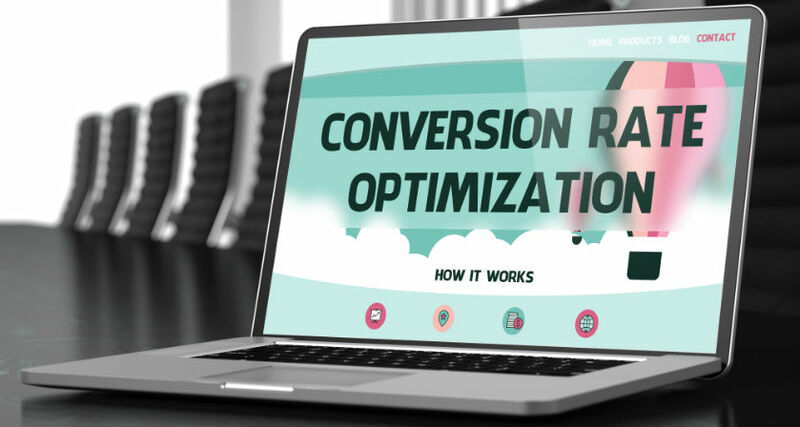 Below are some actionable tips that you should carry out on your website to improve the current conversion rates of your website. It is important that you use call to actions on your pages to lead visitors to complete a goal such as downloading a content offer or to lead to a landing page. 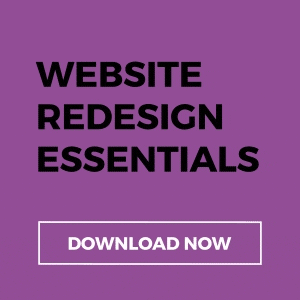 The most popular examples of call to actions are buttons, text links, banners and pop-ups. All call to actions produce varying results depending on you target customer and the design of your website. It is important to A/B test your call to actions on a continuous basis to help you maximise results for your business. If your website is simple to navigate your conversion rate will be high compared to competitor website that is hard to navigate. If your website has a simple visitor flow where your visitors can funnel into a landing page with an irresistible offer and simple form, they are more likely to convert. Having an about us page on your website can help build trust in a company. Having photos of team members can impact a visitor's decision on whether they convert or simply clicking away. An about us page can convey the mission of a company and allow visitors to understand the ethos of your company. High quality imagery is one of the main factors in conversion rates for eCommerce websites. By using high resolution images on your website the products that you are selling will be perceived as a high quality item. Even if you do not have an eCommerce website, if the images on your website are poor, your company could be perceived as a low value business. If you have forms on your website, you should limit the number of fields to fill in to maximise your conversion rates. While asking for information can help with targeting later in the sales process, asking for too much information can put people off from completing the form. Think of it in terms of how long it would take for someone to fill in a form to either contact you, apply for a free trial or simply download a content offer. Try filling out the form yourself and time how long it takes you. If the form only takes 45 seconds to fill in, then you should see a higher conversion rate compared to a 3 minute long form. A quick tip for businesses is to regularly test contact forms to ensure that they are working correctly. If a form is not working properly, you will likely lose leads and any money spent on acquiring new customers will be wasted. To make an instant impact on visitors to your website, you need to have key messaging and contact information located above the fold. As people generally have a short attention span, if the important details that they required are not located above the fold, they are likely to click back to Google again. When you catch the attention of the visitor from the moment they visit your website, you increase the likelihood of converting them into leads for your business. Every business and every website is different, therefore, conversion rates of every business will be different. 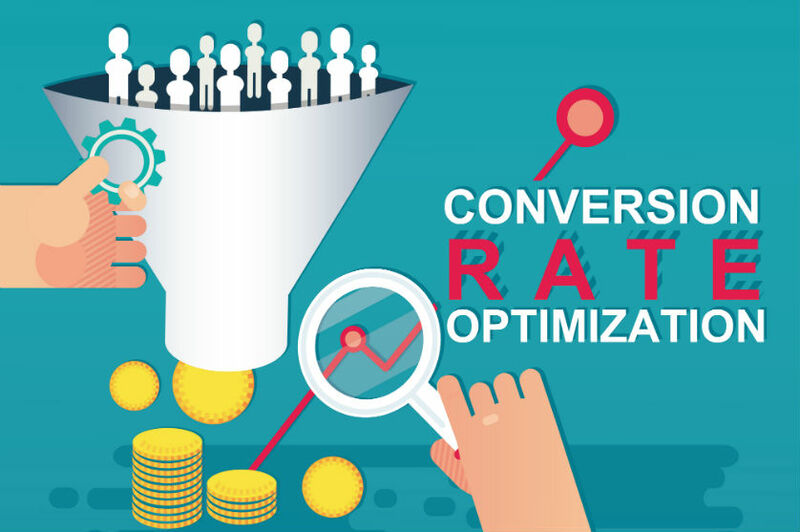 It is important that conversion rates are analysed constantly and changes made in order to increase the conversions and to bring down the cost per acquisition, which will in turn increase your revenue.